They're the bedrock of our wardrobes, the sartorial failsafes we turn to in times of need and the fashion industry's most democratising item of clothing: Jeans, we owe you big time. Yes, they might be a sartorial staple that transcends the seasons, but there are certain denim styles that have risen and fallen in popularity, fluctuating as tastes change and demands shift. 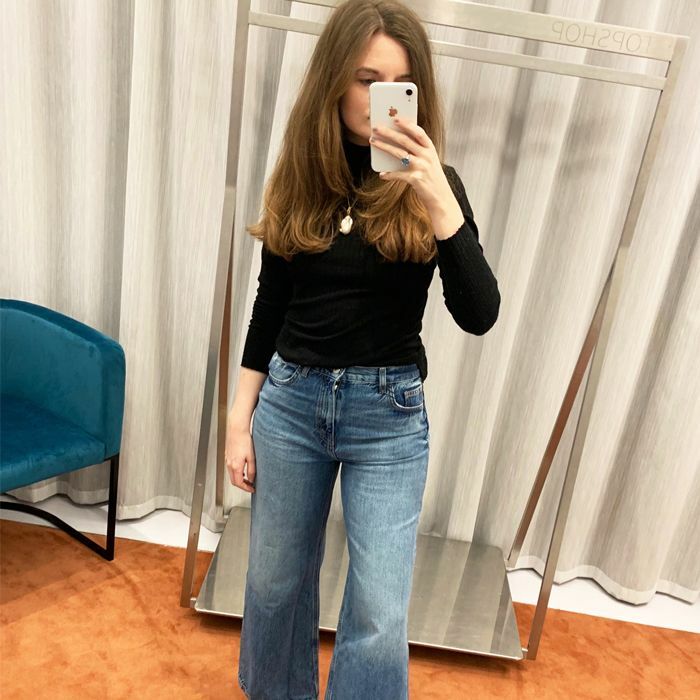 With fashion week finally drawing to a close, we thought it would be a good opportunity to look ahead to the jeans styles that are set to spike in 2019. To get a little insider intel, we spoke to Costanza Lombardi, womenswear buyer at luxury fashion store Browns, to discover the three trends she's excited about this year. So what should we be looking out for? "The first denim trend set to be popular in 2019 has got to be the total denim look, both in classic blue and in tonal colours," Costanza says. "The second is '90s-style jeans. I’ve seen a lot of high-rise, full length, straight-leg pairs with black leather for a real celebration of the decade. Finally, I would say black denim has been very present in a lot of the collections, reflecting this season's celebration of the classic hue." Scroll down to see and shop the key denim looks for 2019. 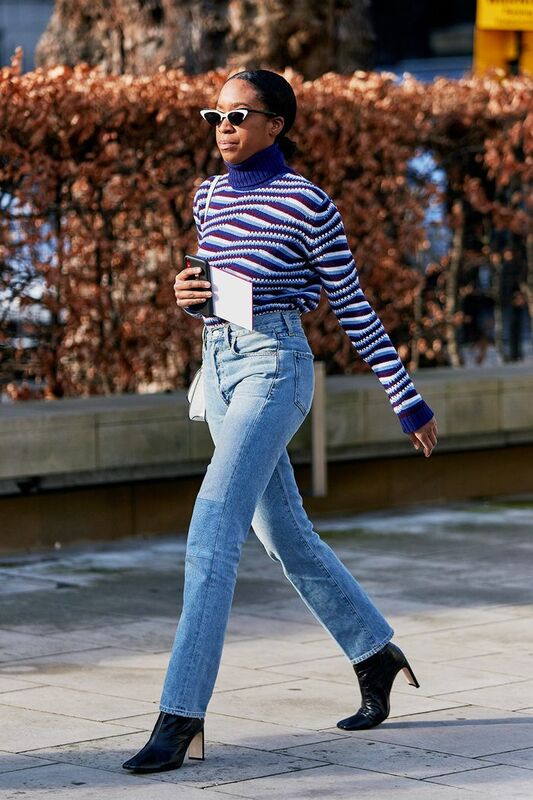 Style Notes: The iconic straight leg '90s fit has made a storming comeback this season, challenging the skinny for its prime denim position. A firm favourite of fashion editors everywhere, they look great with everything from white tees to pretty organza blouses. Style Notes: They might not be the most out-there offering, but black jeans (particularly skinnies) are suddenly feeling less, well, basic this season. Typically worn with chunky Dr Martens, they're ideal for balancing out roomier silhouettes. Style Notes: For years, double denim felt distinctly "bad taste," but the 2019 iteration is less Britney and Justin circa 1995 and more street style chic. This trend is all about embracing the classic, true-blue wash and pairing it with similar tonal separates.